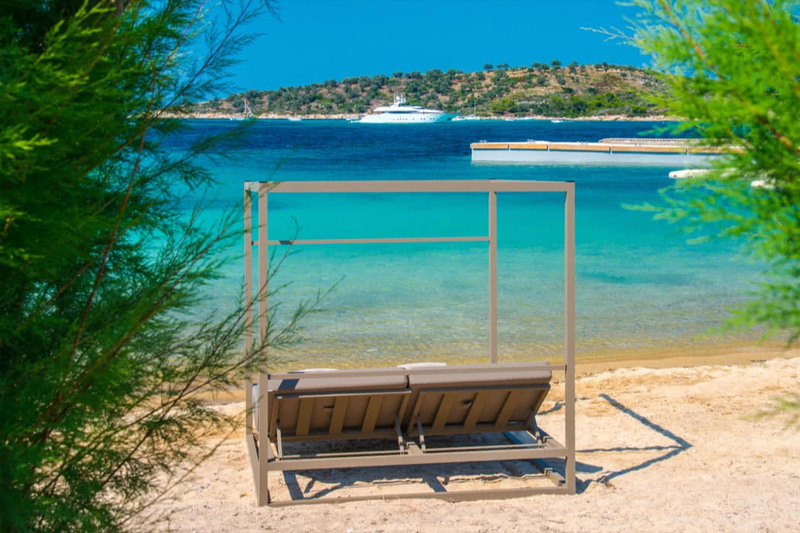 Perfectly situated on the petite yet stunning island of Diaporos, are the spectacular Diaporos Island Villas. If you are looking for the ultimate blend of style, sophistication and pure luxury, then these villas will really hit the spot. 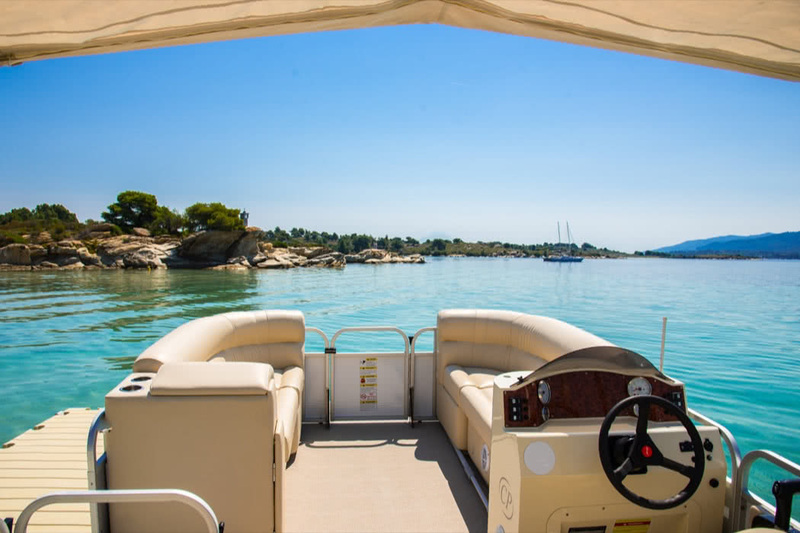 From the moment you arrive, you will be in awe of the outstanding natural beauty of the island itself, its pretty coves and natural forests combine in one of the last unexploited areas of Halkidiki. Perfectly appointed and all uniquely different, there are three exceptionally stylish villas to choose from. Your idyllic secret eco-paradise awaits. 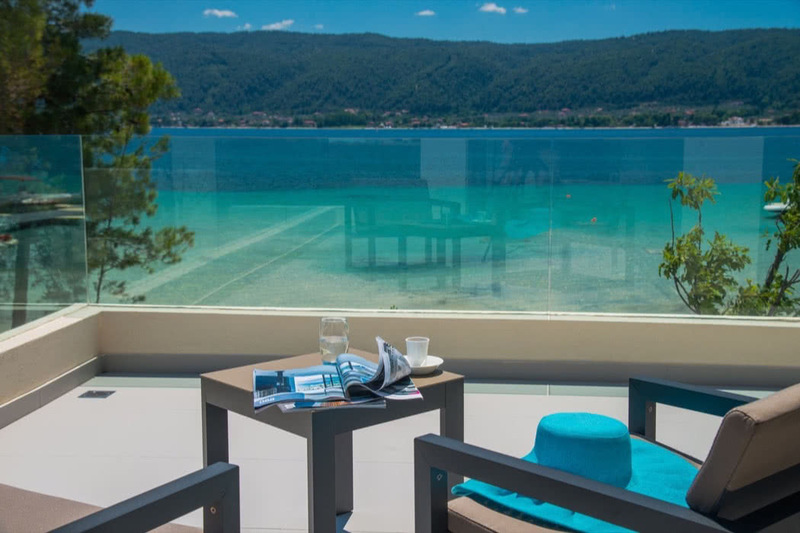 We love these villas for their stunning location and ‘out of this world’ panoramic island views. Their sharp yet sympathetically Greek architecture makes a bold but at the same time, delicate statement. 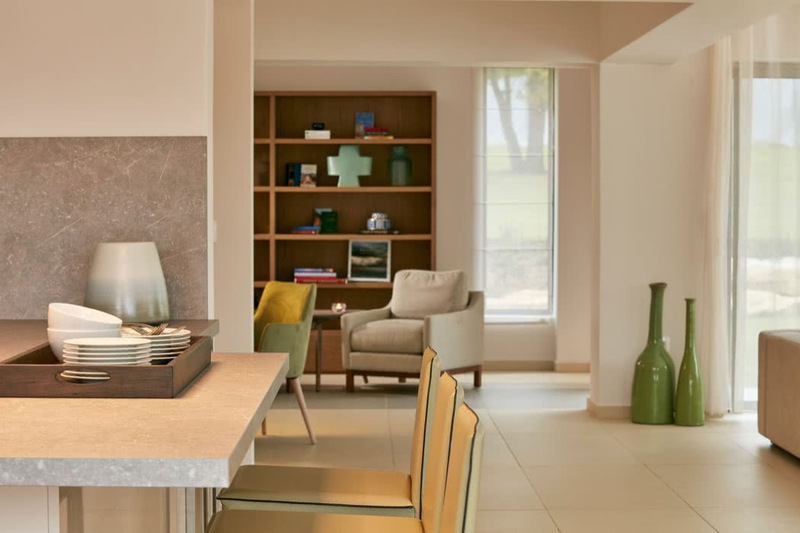 The attention to detail on every level is faultless and we love the fact that they are sure to capture the imagination and heart of anyone who has the pleasure of staying in these breathtakingly beautiful properties. We also love the fact that Tiamo Secrets have a real respect for the environment and preservation of the island’s resources and that the enhancement of the islands natural ecosystems, remains a high priority. 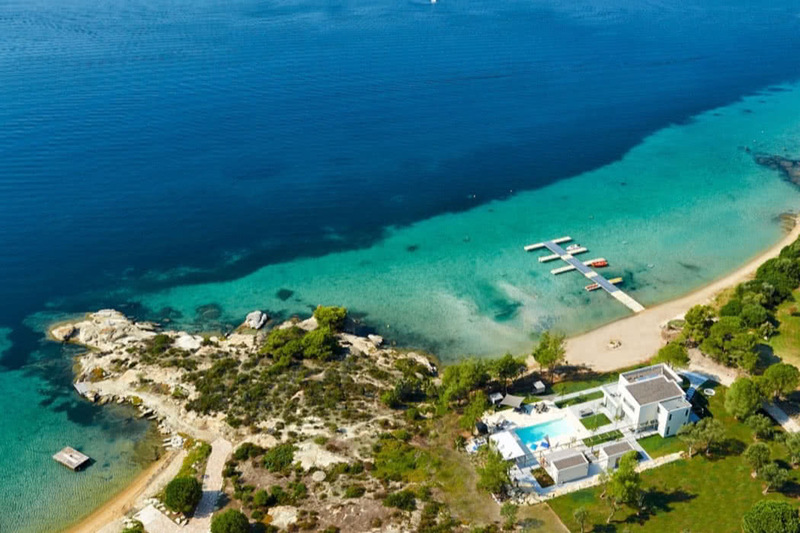 You’ll find these villas tucked away on the island of Diaporos in the Singitic Gulf, Chalkidiki, Northern Greece. At approximately one and half square miles, it is the largest of a group of nine islets that belong to Sithonia, in the Halkidiki peninsula. Accessed by boat and just across the water from the mainland village of Vourvourou, the practically untouched island of Diaporos is home to just a handful of adorable houses. 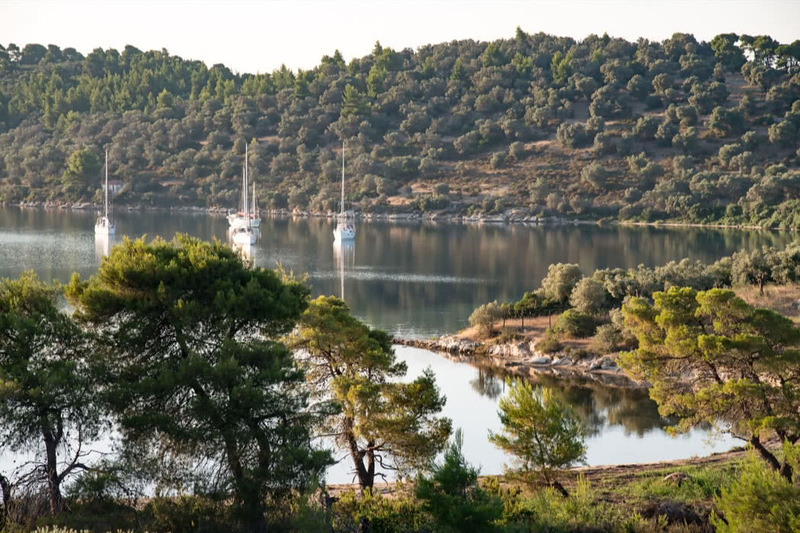 Natural coves and wonderful soft pink-white sandy beaches combine with verdant pines and extraordinary fauna and flora. Its many reefs and calm, crystal clear waters make it an ideal spot for the snorkelling enthusiast with many hidden treasures to be found below the surface of the sea. The warm, mild Mediterranean climate means that Diaporos is nice to visit any time of the year and the location of this sheltered islet means that it has warm waters all year round. The months of May, June and September offer a more comfortable heat whilst the high season months of July and August will see hotter temperatures and more visitors to the island’s shores. You can catch a direct flight from the UK to Thessaloniki International Airport and then travel the 90 minute journey by car to Vourvourou. From here, a boat will transport you on the last leg of your journey across to Diaporos. All private transfers will be organized by Tiamo Secrets. 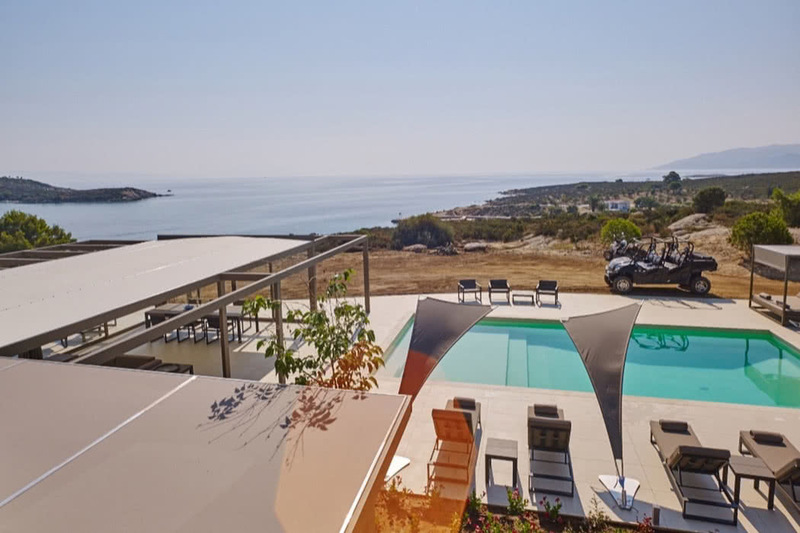 This stunning and spacious ten bedroom luxury beachfront villa, is located on the north eastern side of Diaporos. 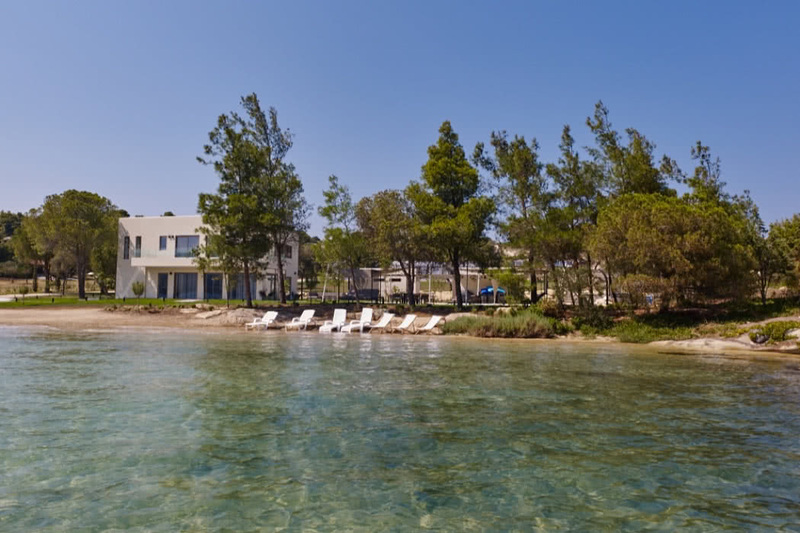 Nestled between two natural coves, it is perfect for families or a group of friends. 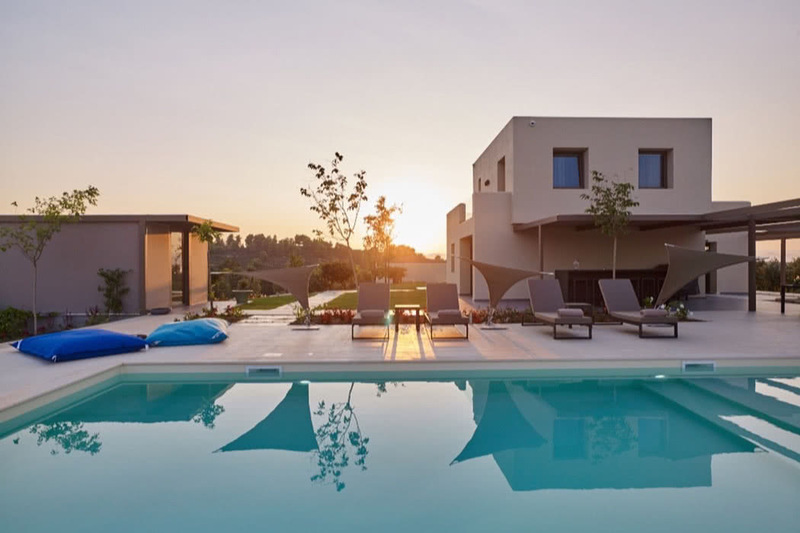 You cannot fail to be wowed by the stunning architecture of this property which combines modern geometrical forms and open plan living, with a touch of traditional Greece. This villa is a statement of pure indulgence. From the king and queen sized beds to the 95sq m private pool and delightful terrace with lounge area, you could be forgiven for thinking this pad belonged to a Hollywood superstar. It even has its own library and wine cellar! As well as the main villa, this property boasts a private mini villa with accommodation for two people; the perfect romantic hideaway. Relax by the private pool on your cabana beach bed and take in the breathtaking views of the bay. A short stroll through the beautifully maintained gardens will lead you to the private jetty where those with a passion for sailing can moor their yacht or anchor their boat. Or perhaps just use it as the perfect spot to dive into the crystalline waters below and experience the tailor made water sport facilities provided by Tiamo Secrets. This villa is simply stunning both inside and out, it really does have to be seen to be believed! Immersed in a private park of 2,200sq m and just a ten-minute boat trip from the mainland, this villa offers complete tranquillity. Its elevated position and spacious terraces offer outstanding panoramic views stretching as far as the eye can see. The main residence has three double bedrooms, and there is also an elegant studio which houses an additional bedroom. 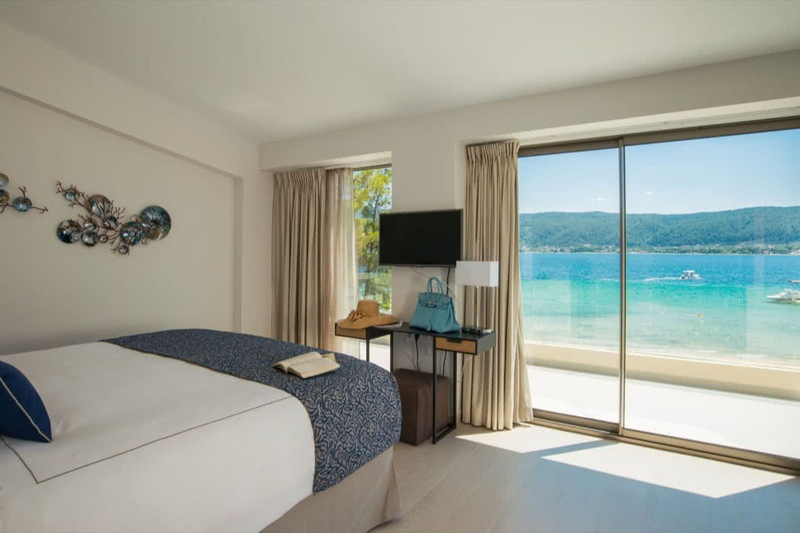 The sophisticated yet minimalist rooms are flooded with natural light and provide the ideal vantage point for admiring the unforgettable Mediterranean sunrises and sunsets. There is a fully equipped kitchen as well as two divine sitting rooms with views over the Gulf of Kryftos and mountain of Athos. Treasure Cove villa is perfect for those us of who enjoy al fresco living with the magnificent gardens offering tranquillity and privacy as well as the opportunity to cook up a feast on the BBQ after an invigorating swim in your own private pool. As with all Tiamo Secrets Villa’s, luxury is an absolute given and no detail has been overlooked. From the espresso machine to the superior quality bed linen, five star service combines with luxury living to ensure that you have the most memorable of stays. Built into a natural cove on the southwest side of the island, this luxurious villa literally touches the sea. The property perfectly combines stylish architecture with modern comforts and is the ideal base for those guests wishing to enjoy a moment of tranquillity beside the pool or a relaxing afternoon on the beach. The outside area is very much a feature of this villa with stunning private terrace areas that are ideal for sunbathing and a BBQ area perfect for parties or a chilled evening with friends. Soak in the Jacuzzi with a glass of something cool and absorb the stunning views across the bay. The interior space of this property is also delightful, with three king sized bedrooms all with stunning en suites featuring multi-jet showers with balneo options, sumptuous towels and luxury beauty products. 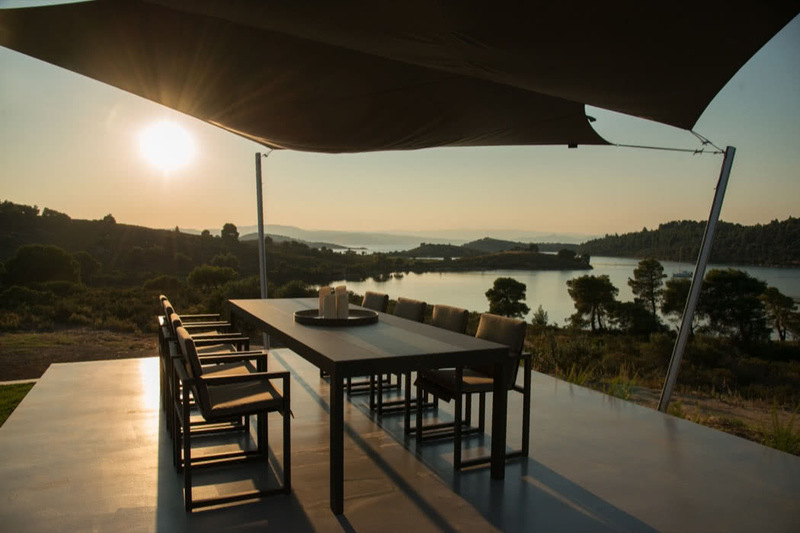 Elegant and uncompromising, the seafront location of this villa is a constant reminder of the natural, unspoilt beauty of this tiny Greek island. Customer service is of paramount importance and at Tiamo Secrets Leading Villas, you will want for nothing! 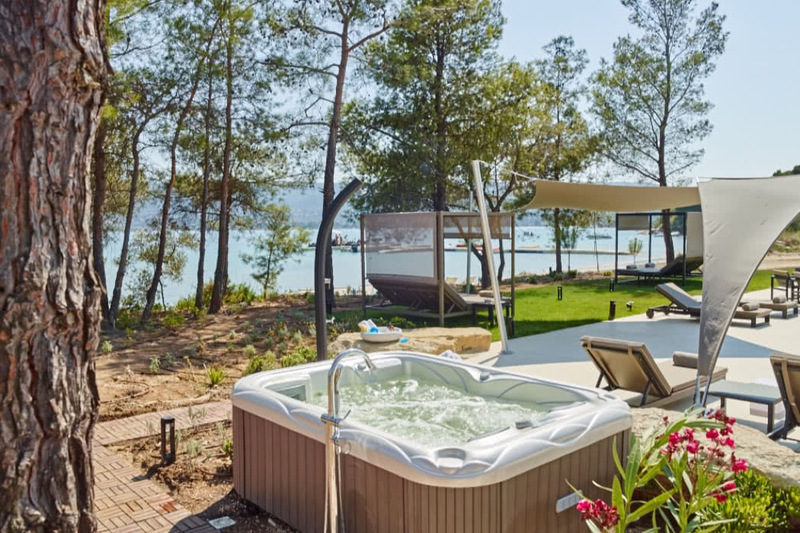 Services at the villas include: cocktail reception, butler and chef services, welcome drinks, 24h/7 concierge, transfers to the airport, private parking, free wifi and even the chance to drive your own 30hp Yamaha boat (no license needed)! 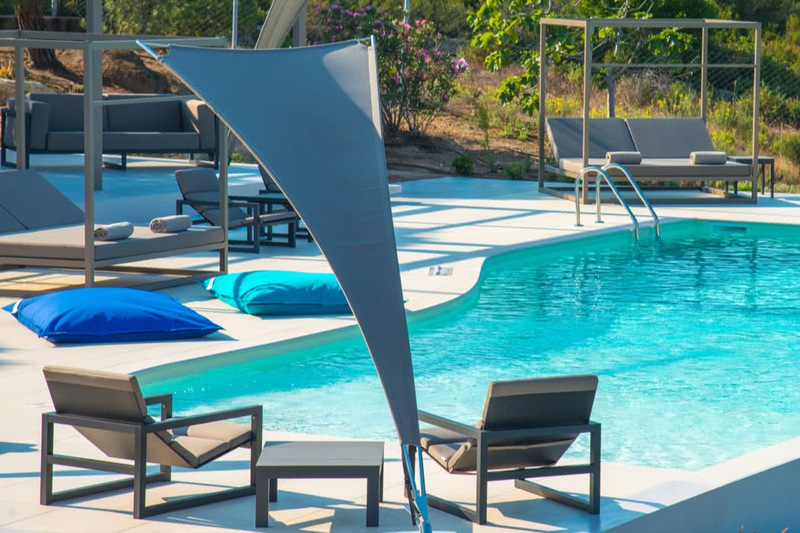 Guests can also enjoy personal training sessions, yoga classes, dance and cookery lessons, fishing, horse riding, yachting, hiking and relaxing body treatments in the comfort of your own villa (additional fees apply). Tiamo Secrets offers luxurious, elegant living combined with uncompromising and perfectly tailored services. In terms of dining, guests can request a dedicated chef to create a bespoke menu suited to your palate right in your villa; private dining on the beach under the stars with the sound of the waves as music; in-villa dining where the Tiamo team have selected the best local restaurants offering guests gourmet choices and daily fresh cuisine, delivered directly to your villa at any time; wine tasting where you can discover wines from both Greece and all around the world, not forgetting those cookery lessons where you can learn to cook your favourite local dishes.